New Bedford Police Department website! Highly trained and dedicated professionals serving our community with respect and empathy. On behalf of the men and women of the New Bedford Police Department, I would like to welcome you to our website. 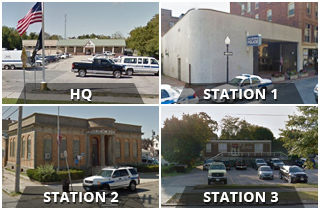 The New Bedford Police Department is made up of many Divisions that help protect the citizens of our great city. Find answers faster by looking through the most frequently asked questions. If your question is not answered please contact us. You can submit a tip online, however all tips MUST include a phone number for verification purposes. Police officers put their lives at risk everyday to keep everyone in the city safe. Tell us about your experience. The NBPD can give you a copy of a accident report or a criminal report - however certain restrictions apply. If a crime is committed near your home, your security camera could help solve it. If you've lost something in the city, tell us about it and we'll keep it on file if we come across it. We want to encourage transparency and feedback from all New Bedford citizens.